To be honest, the Korean cable channel OCN has never been on my radar, as most of the shows that I have watched in the past were from SBS, KBS or MBC. However, thanks to “Voice”, I now know that I should watch out for shows that come out of that network to get my fix of psychological thrillers, crime, mystery and action in my Korean dramas. For me, it is a breath of fresh air, as most of the Korean dramas I’ve been watching are more serialized in format, and it proves to me that the one hour long run time format can work in a Korean drama of that genre, without it getting too draggy or slow. “Voice” follows Officer Kang Kwon Joo (Lee Ha Na), a policewoman with extraordinary hearing abilities, and Detective “Mad Dog” Moo Jin Hyuk (Jang Hyuk), who end up working together to form the “Golden Time Team”. The “Golden Time Team” is a special team that works in collaboration with the police department’s emergency hotline, to solve cases immediately before the “Golden Time” is up for each particular incident. Along the way, the two try to solve the one case that tied their fates together three years ago- the murders of Jin Hyuk’s wife, and Kwon Joo’s father, which were both committed by an elusive murderer. 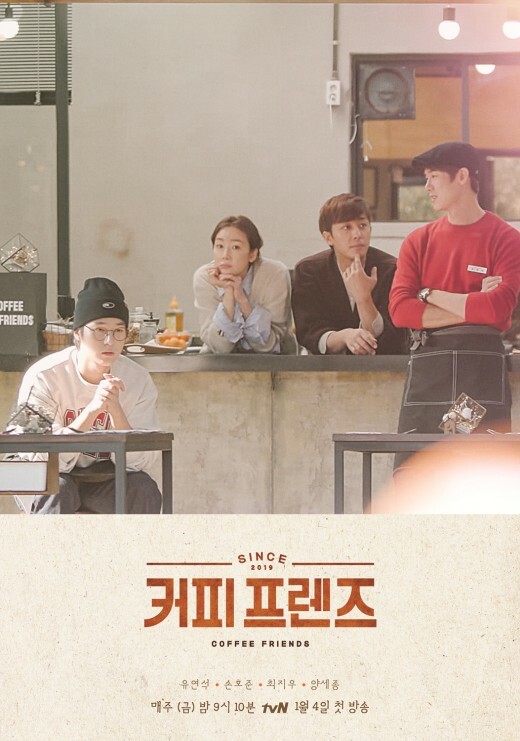 The show was written by Ma Jin Won (“I Am Legend”) and directed by Kim Hong Sun (“Liar Game”, “Pied Piper”, “Warrior Baek Dong Soo”); and also stars Baek Sung Hyun, Super Junior’s Yesung, Joon Eun Seo, and Kim Jae Wook. “Voice” definitely is a cut above the rest, as not only was it a perfect balance of the procedural format with an overarching story arc, it was not afraid to show the amount of violence that it needed to show, for a show of this genre, which made it a little bit more realistic, even though there were some things that were censored. I am glad that they found a way to work around it, so that things like blurring the knife by just a little, did not really take me out of the scene. It was a gritty show, full of pure emotion that kept me guessing until the end, and that features a wonderful partnership between the two leads without having them fall in love with each other, and a wonderful bromance in the form of Jin Hyuk’s frienship with Dae Shik. From here on out, there will be spoilers, you know the drill. As I just mentioned, aside from the fact that they were not afraid to seek a 19+ viewing rating for at least three of its episodes so that it could be as realistic as possible. This, apparently, was done after viewers complained that the violence was too excessive for a Korean cable show. However, as the it is a crime drama, and as the main big bad of the show is a very brutal serial killer, it would make sense for it to be violent and bloody at times, because it serves the story, and it isn’t gratuitous at all. This show definitely found a perfect balance between the show’s procedural elements and its overarching story arc, finding out who truly killed Kwon Joo’s father and Jin Hyuk’s wife, and why. It didn’t drag it out too long, or at least it felt that way, as it was balanced out by the cases that they had to solve. I also like the way how they used Kwon Joo’s extraordinary hearing abilities in a very realistic manner, and it really made sense that she would be the leader of the emergency hotline department and the founder of the “Golden Time Team”, given what had happened to her. I have actually never seen Lee Ha Na in anything before, so I thought that her performance here as the tough, calm, logical Kwon Joo, who keeps her emotions in check all the time, was really good. I also loved that she did not serve as a love interest to Jin Hyuk, and that she and him worked really together as fictional and as on screen partners. Jang Hyuk played Jin Hyuk well, and I didn’t even realize until later that he was the main male lead in the film “Windstruck”, which I watched years ago. His action sequences were well choreographed (to the point that I noted that these action sequences could rival some of the sequences in “Arrow”), and that he brought out a more nuanced performance when he was confronting Dae Shik about being the mole within the station to Sungwun Express and the Mo family, which were the main antagonists of the show. That particular scene just floored me and made me cry, because it was Dae Shik who was emotional, terrified and angry, and Jin Hyuk who was quiet, resilient, strong and had unconditional love for Dae Shik, because even though he did something horrible, he is still his partner and someone whom he treats as his younger brother. Speaking of Dae Shik, Baek Sung Hyun really shone in the last three episodes, in which he was revealed to be the mole, and when he tried to make it up to Jin Hyuk by going after Mo Tae Gu (Kim Jae Wook), the main antagonist. At the beginning of the series, not much attention was given to him other than the fact that he was a close friend of Jin Hyuk’s, and his junior partner, but that was necessary as the reveal that he was the mole could have only come out in the last couple of episodes, as that was what ultimately led to the first showdown with Mo Tae Gu. Dae Shik, I think, became a fan favorite in the series, and a lot of people were worried and concerned about him after the reveal. I think he did well in leading us all to believe that he was innocent. Kim Jae Wook was incredible as the serial killer Mo Tae Gu, and I really did a double take after learning that he was everyone’s fan favorite waffle guy in “The 1st Shop of Coffee Prince”. The way he portrayed Tae Gu was well done especially in the nuances that he brought to this character, especially when he giggles like a child when it comes to Kwon Joo’s efforts to capture him. I also love how the show used quotes and music, whether it was verses from the Bible, quotes from Helen Keller, the “Lacrimosa” part of Mozart’s “Requiem Mass in D Minor”, and a verse from Goethe’s “Der Erlkonig”, to highlight particular cases and themes within the show. Thematically speaking, I think that this show is all about the power of choice, and how one’s choices can affect a person and those around them, and the different paths people take based on the different choices they make, even though they are faced with the same difficulties. A good example of this would be Kwon Joo and Jin Hyuk. They both lost loved ones. However, Kwon Joo used this to fuel her determination to catch the killer and create the Golden Time Team, while Jin Hyuk ran around like a crazy dog, with no direction at all until Kwon Joo came along. We can also see this with Dae Shik and the police commissioner. Dae Shik, even though some may think it is too late to get out of it, decided to do the right thing, even though he ended up beaten to the point that he is a little bit of a vegetable at the end; and the police commissioner, who ended up being removed from his position because he, unlike Dae Shik, continued on with Sungwun Express and the Mo family. The series also ended on a great note, with Kwon Joo running the Golden Time Team, and dispatching their team, which, I’m thinking, as of the moment, might consist of Jin Hyuk and some of the Violent Crimes Unit boys. The only flaws that I saw in the show was that at one point, Jin Hyuk’s fight with one of the antagonist’s henchmen was too drawn out (it went on for around ten or fifteen minutes, I think), and that there was an attempt to flesh out Yesung’s and Son Eun Seo’s characters, but then, at the end, they were relegated to be the “explainers” for the audience and to have the blatant product placements for the waterproof Samsung phones and Subway sandwiches. All in all, this was a really good show with a great story and characters, and that kept me guessing until the end. That being said, I am very, very happy that this got good ratings for a show that airs on a smaller network. That incredible fight sequence Jin Hyuk has with Nam Sang Tae’s henchmen in Episode 8. Kim Jae Wook’s cheekbones. I’m not kidding. Every time he comes on screen. Everything about Dae Shik. He’s my favorite character, and I’m just SO glad that he didn’t die. Although, to quote “The Flash”, his fate is kind of worse than death at this point int time. The reveal that Dae Shik was the mole. Jin Hyuk confronting Dae Shik about his betrayal. I cried. I’m not kidding. How Tae Gu manages to toy around with Kwon Joo and Jin Hyuk, especially the moments when he is in Kwon Joo’s apartment and when he left a “gift” for her near her door. Tae Gu, Kwon Joo and Jin Hyuk all coming face to face with each other for the first time. That showdown at Tae Gu’s “murder house”, and the way that Tae Gu still manages to walk around with a rifle on his shoulder like that.